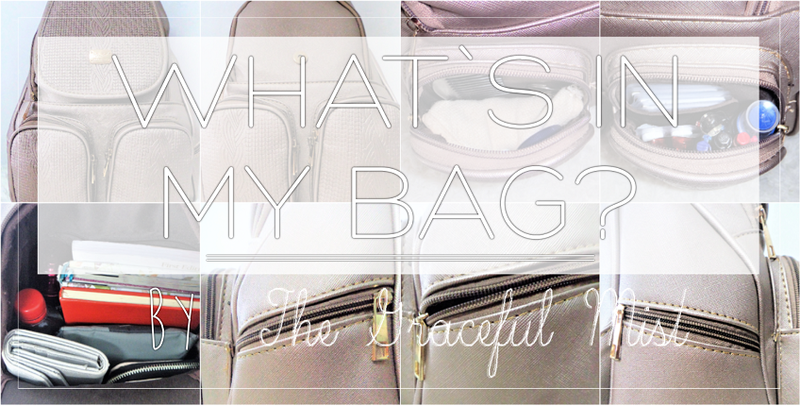 The Graceful Mist: What`s in My Bag? Wherever I go outside the house, I often need to be carrying a bag. I always need to make sure that I have everything I could possibly need which helps me to go through my day with less chaos and stress. Back when I was younger, around 14-17 years old, I often carried big bags. I often thought I need to be as prepared as I could be to the point wherein I`m carrying unnecessary items because I was very exaggerated in my preparations. 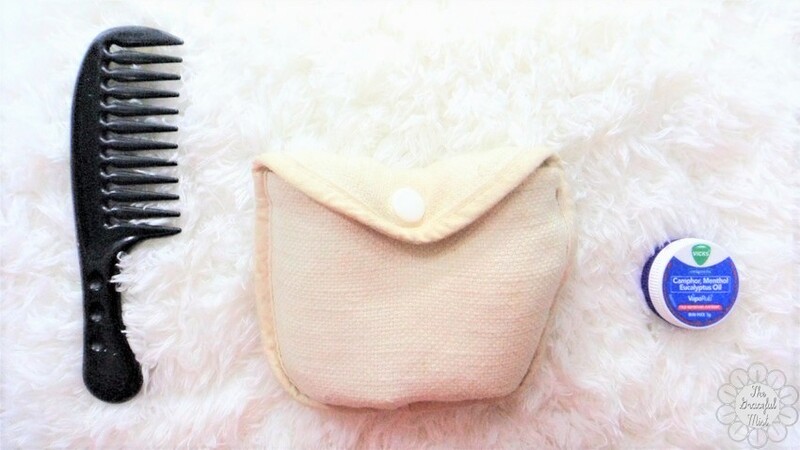 However, when I turned 18, I discovered the beauty and comfort of small purses. Hence, why I used my Zaful Cat Handbag so much. Using my Cat Handbag allowed me to fit so much necessary items in a small purse and simply carry my umbrella by hand. 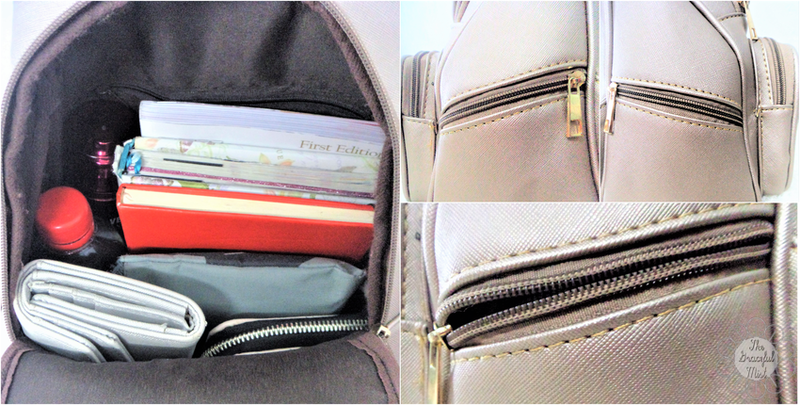 However, my cat handbag can`t accommodate my multi-purpose notebook and some other little things that I always want to carry. 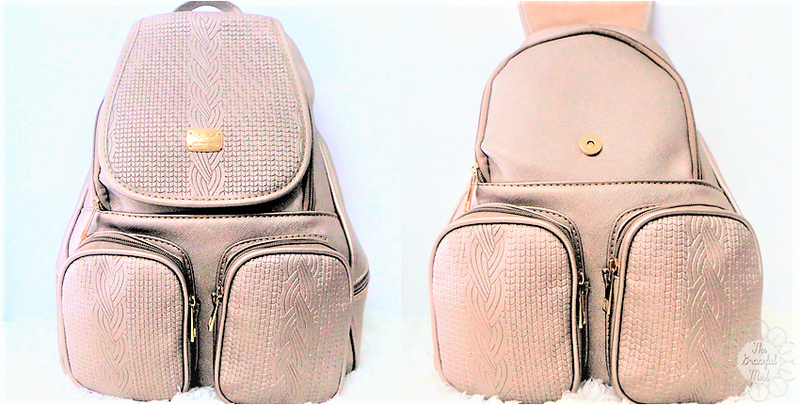 Therefore, I got a pretty bronze backpack from Kimbel International that fits all of the items I need for most days that I`m out. I`m currently reading "What Would You Do? If This Was Your Last Day On Earth" by Mr. Robertson Sy Tan, the founder and CEO of Blade Auto Center. It was sent to me to review. 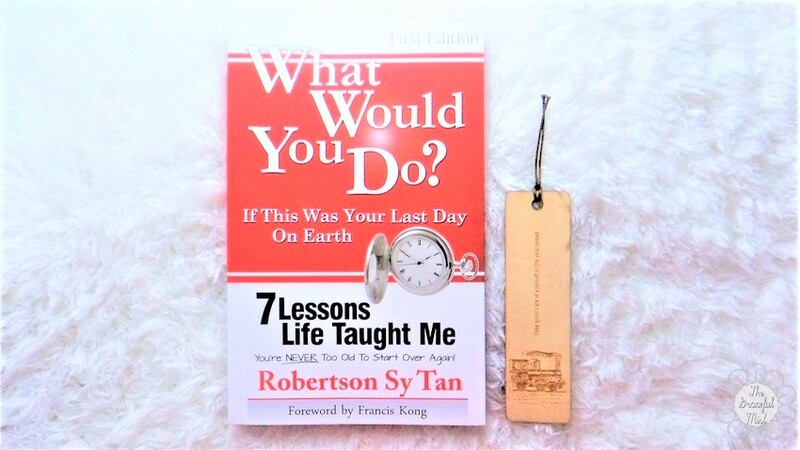 So far, I`ve been liking it because I`m learning more about the journey of Mr. Robertson Sy Tan at the same time gaining lessons and knowledge I can apply in my own life to succeed. My 2017 Belle De Jour Power Planner helps me to keep track of my activities and plans. 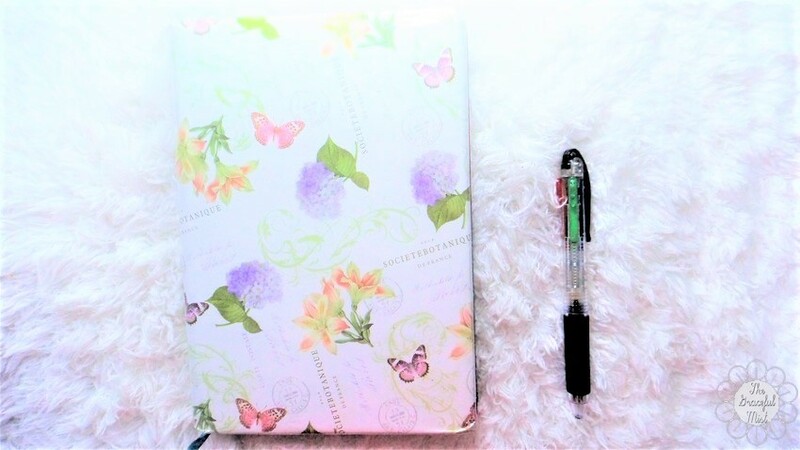 Just like with my 2016 Belle De Jour Power Planner, I was concerned that the cover for this planner may be damaged easily so I covered it with a floral wrapping paper and plastic cover to make it waterproof. 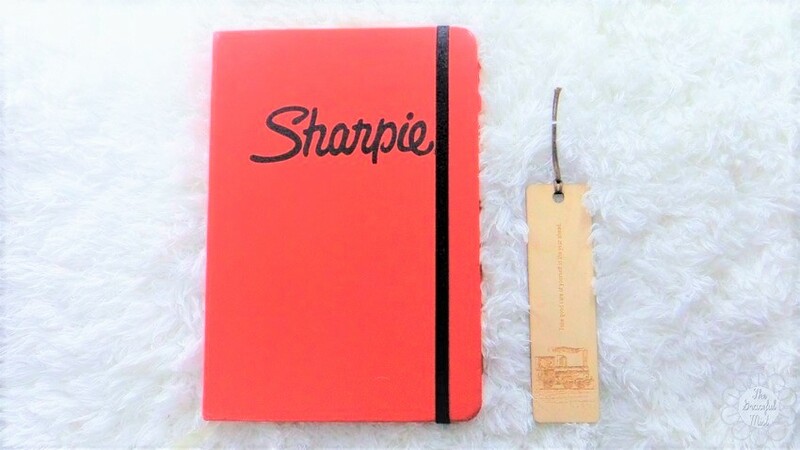 My Sharpie Notebook was one of the items I received through the goodie bag Viviamo Inc. gave away during the 2017 BDJ Women`s Summit. These small black and white notebooks are from Papemelroti, a Filipino gift store. The "Everything Begins with an Idea" notebook is for all of the ideas I have for my blog and Youtube channel. It`s a small notebook I can carry with me almost anywhere so I can jot down ideas and plans. 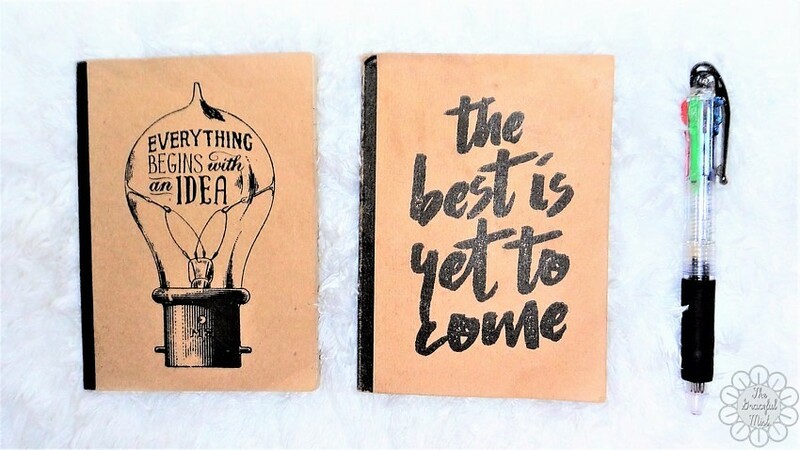 The "the best is yet to come" notebook is for all my budgets and expenses for the day, week, and month. Carrying this small notebook definitely help me keep track of my daily budget and expenses. The long silver wallet is a great bills and cards keeper because it has two open slots for the bills and 11 slots for the cards. It stores most of my cards. 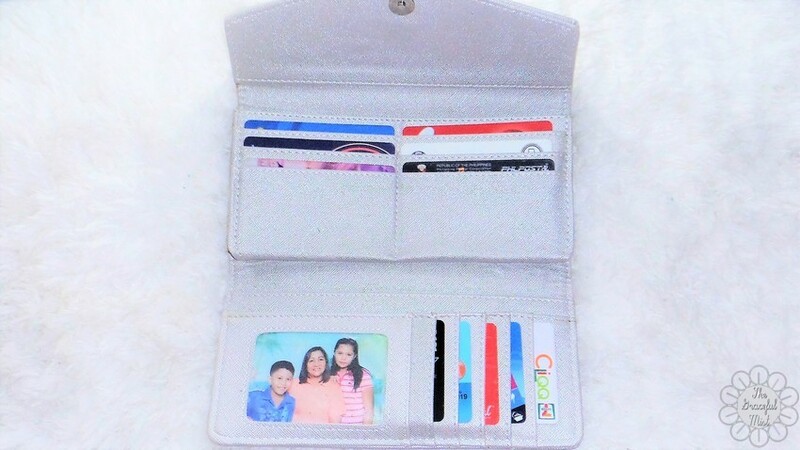 Some are placed behind the front flap with the photo and card slots. 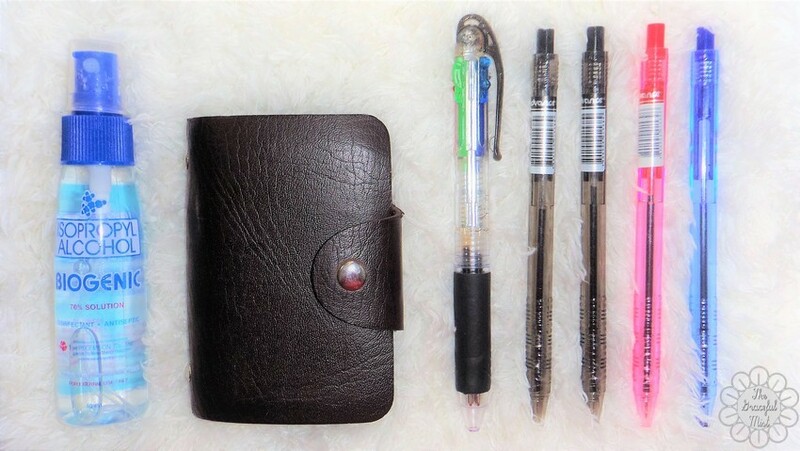 It`s an ideal wallet because I used to store my cards in a card keeper but I can now keep them all here at the same time I can segregate my money according to what I can spend that day and what I need to save for other days. 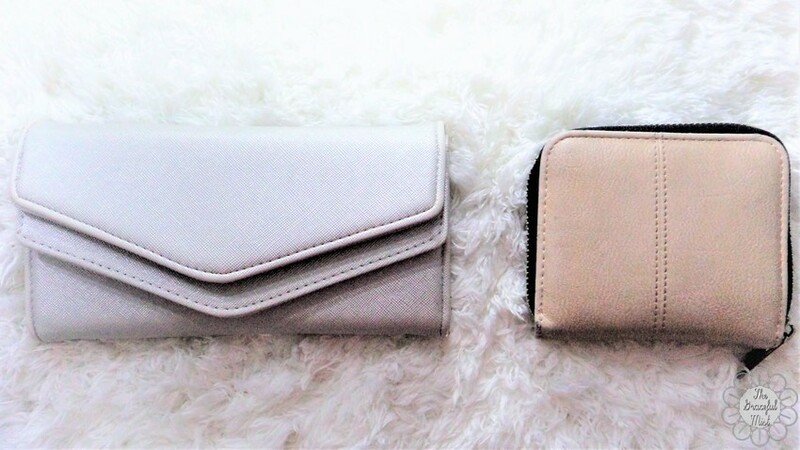 The coin purse is from SammyDress which is my old wallet. I don`t like folding bills so the long silver wallet is quite ideal. This currently holds all my coins. It only has 2 coin slots so I segregate the coins by keeping .05, .10 and .25 centavos and 1 peso coins together, and keeping 5 and 10 peso coins together. The Velvet Sugar perfume by Bath & Body Works was a gift. Although I don`t use fragrance products often, I like to bring it for occasions I might need it. 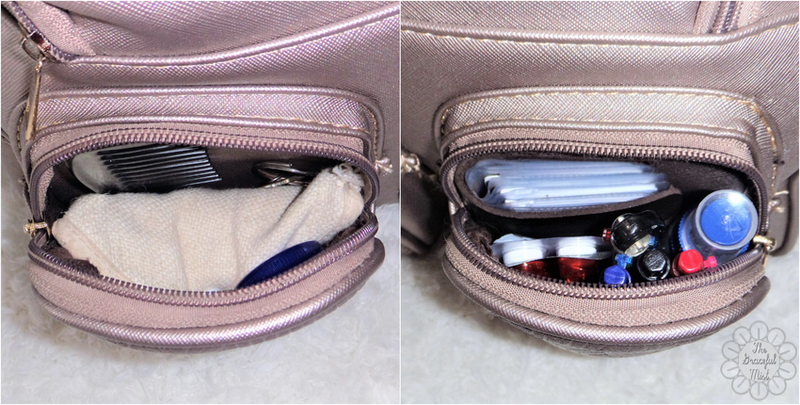 The gray pouch is for all my small files and other knickknacks I may often need such as coupons, library I.D.s, 1x1 and 2x2 formal photos, bank forms and receipts. 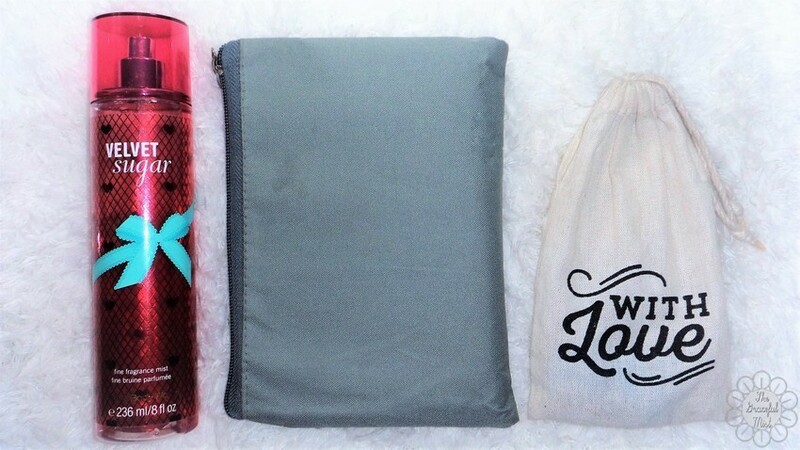 The small "With Love" drawstring pouch is from Papemelroti. It currently contains all my memory cards, flash drives, and related items I may need. I often like to carry them because there are times I need to have access to my files or save some documents when I go to the internet cafe. I segregate my files according to their labels and/or purpose. One flash drive is for unpublished blog post drafts and images, and one memory card is for published blog post documents and photos. I have some spare flash drive and memory card because I`m planning to post Youtube videos soon and these will help me organize documents, videos, and music. There are times I run out of Alcohol so having wet wipes is good. 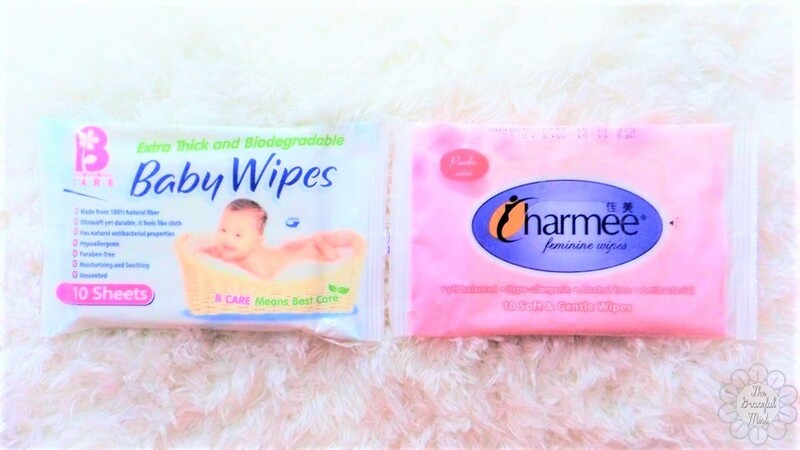 I use wet wipes in cleaning my face and keeping up with feminine hygiene. I also often bring tissue with me in case I don`t have my face mask with me. I live in a country with 2 weathers, sunny and rainy, which is why bringing an umbrella is often a necessity. After 8 AM, the sun can be damaging to the skin which is why it`s significant to always use an umbrella outside. Drinking water at different times throughout the day keeps me hydrated. I often just reuse bottles from the drinks I bought and refill them with purified water. Bringing a reusable bag helps me to carry my groceries and other things easily. Having this eco bag always also prevents me from buying another eco bag since I already have quite a few of them. These are the items I usually bring with me almost anywhere I go. I may add or remove some items depending on my activities and plans. I often like to be organized and neat with my bag because this helps me to find and get my item/s easier and faster. How about you, may I know what`s in your bag? You may leave your comments, suggestions, requests, and/or questions in the comments` section below. Thank you. Disclaimer: This is not a paid post. All opinions in this blog post were written with utmost honesty and sincerity. Labels: Bags , Organization , What`s in My Bag?